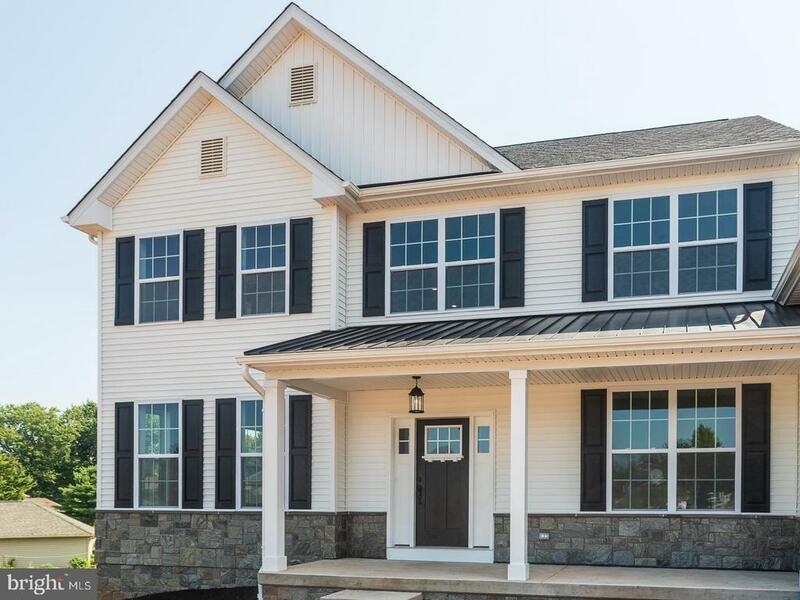 All King Of Prussia homes currently listed for sale in King Of Prussia as of 04/21/2019 are shown below. You can change the search criteria at any time by pressing the 'Change Search' button below. If you have any questions or you would like more information about any King Of Prussia homes for sale or other King Of Prussia real estate, please contact us and one of our knowledgeable King Of Prussia REALTORS® would be pleased to assist you. "Spring Special= Quick Delivery on this gorgeous Model home! Welcome to Caley Court Estates, 15 Semi-Custom luxury homes by a well respected local builder. The Washington Model features a two story entrance with 20' ceilings-along with an open floor plan. Tons of upgraded features are Standard here! The gourmet kitchen package included in this home has Kraft Maid 42cabinets, granite tops and island, along with SS appliance package, that includes a double oven. The Master Suite is very spacious bedroom with two walk-in closets along with a lavish bath that features separate granite-topped sinks, soaking tub and walk-in shower with seat and a frameless door. Three more bedrooms, laundry room, Office/Nursery and spacious hall bath with double bowl/complete the second floor. Enter the first floor from the 2 car garage through the mudroom. Hardwood floors on entire first floor. This Living and dining room has special trim package. 2 system high efficiency (95)gas heat/central air and much much more. Three models to choose from. (These pictures are from the actual Model Home)The brand new State of the Art- Caley Rd Elementary is close by and the homes are conveniently located to major roads and one of the best and largest Malls/Shopping/restaurants in the entire Country! Sample is Open Saturdays and Sundays from 12-3. Caley Court is a cul de sac. - Taxes TBD"
"QUICK DELIVERY on this spectacular Custom Built Home loaded with so many amenities too numerous to mention! Imagine entertaining your guests in the HUGE eat in kitchen with double dishwashers and sinks, butler's pantry, granite counter tops, double oven, custom cabinets, breakfast bar and extra large breakfast area that overlooks into the familia room with gas fireplace. The open floor plan is enhanced by the 9' ceilings on the first floor as well as in the lower level of this beautiful home! From the familia room enter into the billiards/game room with double wall connections for flat screen TVs where you can watch your favorite sports teams. For gatherings with familia and friends, a huge dining area and formal living room (with gas fireplace) make for special times together. On the lower level you will marvel at the oversize 3 car garage (26' deep x 15' on one side large enough to store a boat, limo, RV or an oversize SUV), the huge storage area as you enter the home, an optional location for an elevator, the media room for watching big screen movies and sports AND a full bath. Moving back to the main level and into the front entry foyer with vaulted ceilings you climb the sweeping staircase to the second floor to find a massive master bedroom suite with loads of closet space and full custom tile bath with shower, water closet, double sinks and jetted tub. Four more bedrooms with large closets await with two (2) Jack and Jill bathrooms. For added convenience there is a laundry area on the bedroom level as well as on the main level of the home. There are upgrades galore through out this home...come check it out!" "575 South is a boutique condominium community of 60 residences located just steps away from the Town Center at The Village at Valley Forge. The building will feature 1-, 2-, and 3-bedroom floor plans with luxurious features and the finest finishes. Residents of 575 South will enjoy fantastic on-site amenities to further enhance their lifestyle. Amenities include a rooftop lounge, theater room, golf simulator, and much more. As part of The Village at Valley Forge, 575 South boasts an excellent location for enjoying upscale shopping and dining experiences, all within walking distance. The community is also convenient to major highways including I-76, I-476, Routes 422, 202, and the PA Turnpike Unique opportunity to own in the only new construction boutique condominium Access to the finest lifestyle enhancements, including: rooftop lounge, theater room, golf simulator room, club room and lounge with dual-sided fireplace, conference/private dining room, private garage and surface parking, attended lobby, bike storage, and more Thoughtfully designed floor plans Low-maintenance living at its finest"
"SPRING INCENTIVE-WALK-OUT BASEMENT. Welcome to Caley Court Estates, 15 Semi-Custom luxury homes by a well respected local builder. 4 homes are available. 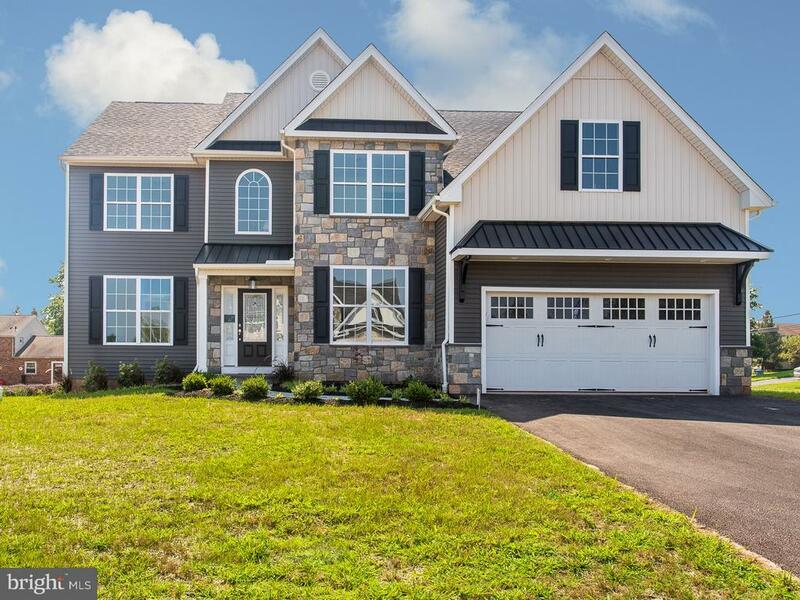 This Washington Model features extra exterior stone and walk-out basement. TWO story entrance with 20' ceilings-along with an open floor plan. Tons of upgraded features are Standard here! The gourmet kitchen package included in this home has 42wood cabinets, granite tops and island, along with SS appliance package. The Master Suite is very spacious bedroom with two walk-in closets along with a lavish bath that features separate sinks, soaking tub and walk-in shower with seat and a frameless door. Three more bedrooms, laundry room, Office/Nursery and spacious hall bath with double bowl/complete the second floor. Enter the first floor from the 2 car garage through the mudroom. Hardwood floors on entire first floor. 2 system high efficiency (95)gas heat/central air and much much more. Three models to choose from. 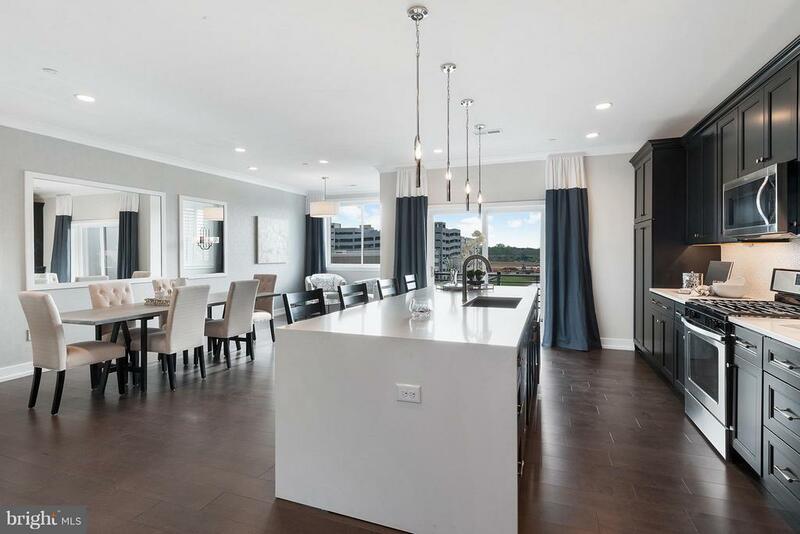 (These pictures are from the actual Model Home)The brand new State of the Art- Caley Rd Elementary is close by and the homes are conveniently located to major roads and one of the best and largest Malls/Shopping/restaurants in the entire Country! Sample is Open Saturdays and Sundays from 12-3. Caley Court is a cul de sac. - Taxes TBD. KOP Mall, Valley Forge Park, Upper Merion community center and more are just minutes away." "4 LOTS LEFT SPRING INCENTIVE-WALK-OUT BASEMENT! Welcome to Caley Court Estates, Semi-Custom luxury homes by a well respected local builder. The pictures are from a sold Madison model which features a front/back staircase and Tons of upgrades features are Standard here! The gourmet kitchen includes designer wood 42cabinets, granite tops and island, along with SS appliance package.The Master Suite has vaulted ceilings with two walk-in closets and a lavish bath that features separate sinks, soaking tub and walk-in shower with frameless door. Three more bedrooms, laundry room, spacious hall bath complete the second floor. Enter the first floor from the 2 car garage through the mudroom. 2 system high efficiency (95)gas heat/central air and much much more The brand new state of the art- Caley Rd Elementary is close by and the homes are conveniently located to major roads and one of the best Malls/Shopping in the entire Country! You're TOO late for this home but we can build your dream home! Open every Saturday and Sunday from 12-3. 709,900 is base price." "Fantastic New Construction on a cul de sac. Welcome to Caley Court Estates, a 15 Semi-Custom luxury home development by a well respected local builder. ONLY 4 Lots available! The Madison Model features a two story entrance with 20' ceilings along with an open floor plan and front and back staircases. Tons of upgrades are Standard here! (These pictures are from settled Lot 4) The brand new State of the Art- Caley Rd Elementary is close by and the homes are conveniently located to major roads and one of the best Malls/Shopping in the entire Country-KOP Mall/Court and Town Center. Sample is Open Saturdays and Sundays from 12-3. Caley Court is a cul de sac. Check us out on CaleyCourtEstates website. 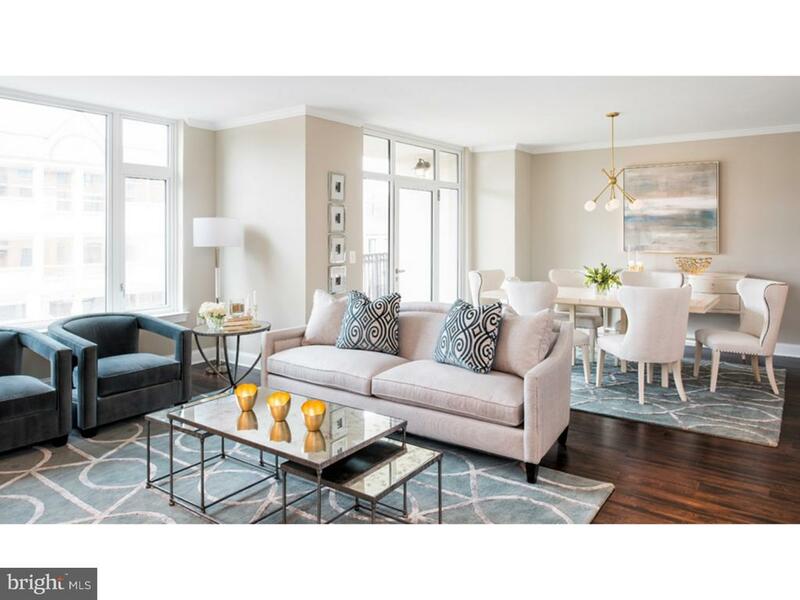 Four bedrooms, 2.5 baths designer kitchens, hardwood floors and the amenities go on and on. Totally open floor plan for today's living, combining kitchen/breakfast area and family room with fireplace. Sliders to oversized composite deck, with an option to add a cover or add an outdoor fireplace. The Master suite is enormous with tray ceiling, two walk-in closets and a stunning bath with walk-in oversized, fully tiled shower with seamless glass door, sep water closet, dual vanities and a very modern soaking tub (all standard. Seven are left, five in the cul de sac. Come see the Model at Caley Rd & Caley Court. House shown has Optional finished basement and outdoor stamped concrete patio with wood-burning fireplace." "Release of our Highly Anticipated location with Water View Homesite! Spectacular views from the Rooftop Terrace! This home includes upgraded appliances, Designer Interior Finishes and 2 sets of Oa Stairs. Deluxe townhome living. The Dalbar's inviting covered entry and foyer draw the eye up the stairs to the spacious open floor plan of the living level. The well-designed kitchen features a large center island and plenty of cabinet and counter space, and is central to both the dining room and great room with covered balcony access. On the bedroom level, the secluded master bedroom is highlighted by a large walk-in closet, access to a roomy private balcony, and a deluxe master bath with dual-sink vanity, luxe glass-enclosed shower with seat, linen storage, and private water closet. The secondary bedrooms feature roomy closets and shared full hall bath. Additional highlights include a centrally located laundry on the bedroom level, a convenient living level powder room, and a lower level with ample additional storage. Occupancy - Summer 2019"
"The Dennison is Back! Limited Pond View Homesites are available! 2018 Award Winning Design. 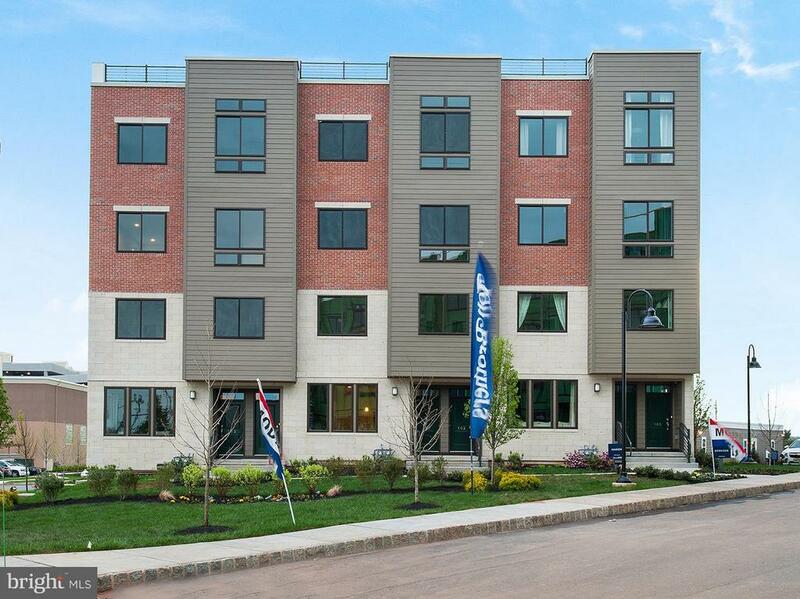 Toll Brothers' newest luxury townhome community, The Brownstones at The Village at Valley Forge. Conveniently located, the area's premier retail, restaurant and entertainment experience is easily walkable from every home site. 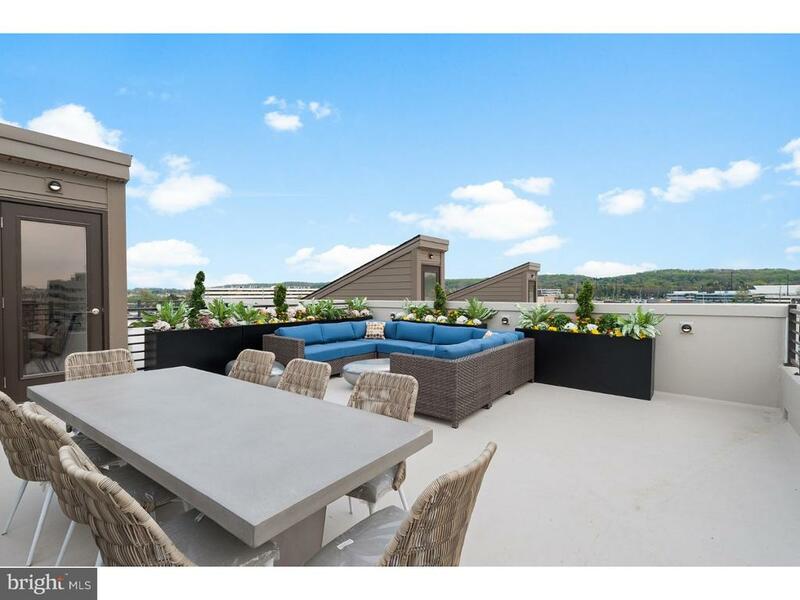 Spacious upper level 2 story townhome and roof top terrace with penthouse view! Main living level has an open floor plan including covered balcony, great for entertaining. Model Homes Tours Daily 10-5pm." "Release of our Highly Anticipated location with Water View Homesites! Spectacular views from the Rooftop Terrace! Deluxe townhome living. The Dalbar's inviting covered entry and foyer draw the eye up the stairs to the spacious open floor plan of the living level. The well-designed kitchen features a large center island and plenty of cabinet and counter space, and is central to both the dining room and great room with covered balcony access. On the bedroom level, the secluded master bedroom is highlighted by a large walk-in closet, access to a roomy private balcony, and a deluxe master bath with dual-sink vanity, luxe glass-enclosed shower with seat, linen storage, and private water closet. The secondary bedrooms feature roomy closets and shared full hall bath. Additional highlights include a centrally located laundry on the bedroom level, a convenient living level powder room, and a lower level with ample additional storage." "This homesite now includes; Roof Top Terrace Oak Stairs, Upgraded Appliances and Upgraded Interior Designer Finishes! Limited Pond View Homesites Available! Toll Brothers newest luxury townhome community, The Brownstones at The Village at Valley Forge is located in King of Prussia, Pennsylvania, in the heart of Montgomery County. Conveniently located, the area's premier retail, restaurant and entertainment experience is easily walkable from every home site. Less than a mile away, the nation's second largest mall, offers even more retail and dining options. The Dalbar model is our largest floor plan with over 2700 sq. ft. of living space and boasts an expansive great room, a well equipped kitchen with access to a covered balcony and center island that overlooks the large dining room. The master bedroom includes a private covered balcony and walk in closets. Schedule your tour of this home and see the best of what King of Prussia has to offer." "Quick Delivery with so many upgrades included, oak stairs, upgraded flooring, frameless shower doors in the master bathroom, and upgraded interior features. The Brownstones at The Village at Valley Forge is located in King of Prussia, in the heart of Montgomery County. Conveniently located, the area's premier retail, restaurant and entertainment experience is easily walkable from every home site. Spacious upper level 2 story townhome and roof top terrace with penthouse view! Main living level has an open floor plan including covered balcony, great for entertaining. Model Homes Tours Daily"
"A newer development in highly desirable King of Prussia. This SINGLE home has been beautifully maintained since it's original build in , 2012. Home is located, at the end of the culdesac and offers more than the other homes in the community. Front door entrance is accented nicely with the stacked stone exterior and custom paver alcove. L arge foyer takes you to steps to the main level. Open Floor plan and full of natural light, finished hardwood flooring, gas fireplace, recessed lighting, ceiling fan, surround sound, crown molding are just a few mentions within dining room, living room area. The custom kitchen is sure to please the chef, Plenty of counters and cabinet space, pantry, stainless appliances, ceramic tile floors, and backsplash, Counter eating with the 2 t-tier island, accented with tile. Off to the side is a room, perfect for an office or playroom, or could easily be converted into a main level bedroom. A sliding pocket door separates this room. This main level just flows and is great for entertaining. Take the party out back Off the sliders in the dining room to the oversized deck. A half-bath completes this level. The second level offers 3 bedrooms, including the master suite. Spacious master suite consists of walk-in closet and bathroom with a soaking tub and shower stall. 2 additional bedrooms, hall bath closet and laundry area finish off the 2nd floor. Leading from the kitchen back stairs is the perfect spot for an inlaws suite, fitness room, home office or au-pair suite, or an additional bedroom, complete with an additional half bath. The back and side yards offer lots private of space, unique to this home only in the development. Take advantage of the raised gated organic garden, or just the peacefulness on the back deck. 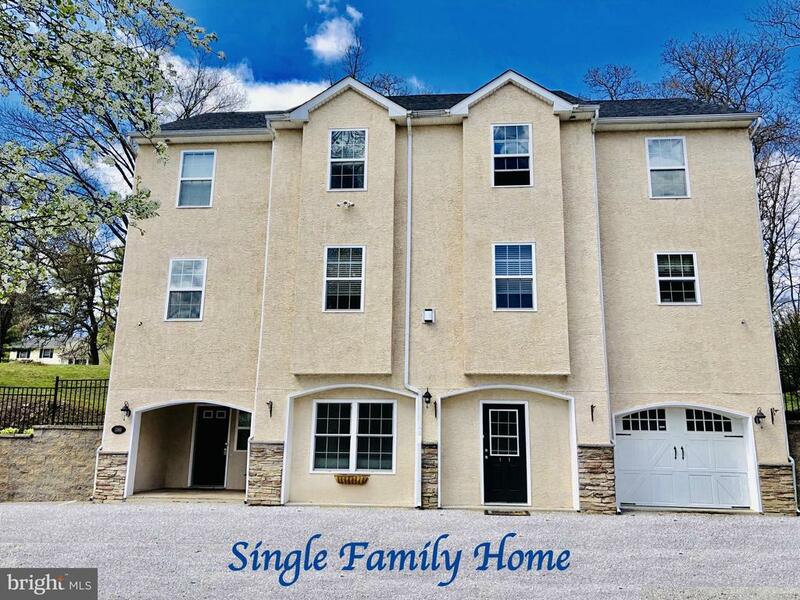 Home is conveniently located to all the major roads, RT 202, 476, 76 and PA turnpike. Tons of shopping and restaurants close by, King of Prussia Mall and town center." "A fully updated single in ever popular King Of Prussia. This 2236 sq. ft. 4 bed, 2.5 bath home has been fully renovated, bringing charm with modern conveniences. This beautiful home features hardwood floors throughout, fully renovated kitchen and bathrooms. The kitchen features quartz counters, stainless steel GE appliances with gas range, custom white cabinetry,the open layout flows to the dinning room and access to your patio. The first floor includes a fully renovated powder room, spacious living room and cozy family room with fireplace. Upstairs the master bedroom, features master bath with marble counters, custom tile shower and modern fixtures. The 2nd floor also includes 3 bedrooms, and a fully renovated full bath. Outside step on your patio with your private backyard. Improvements include new HVAC system (10/2018), new water heater (11/2018), new hardwood floor (2/2019, new roof (11/2018). This home is truly move in ready, in the low tax township and amazing neighborhood! 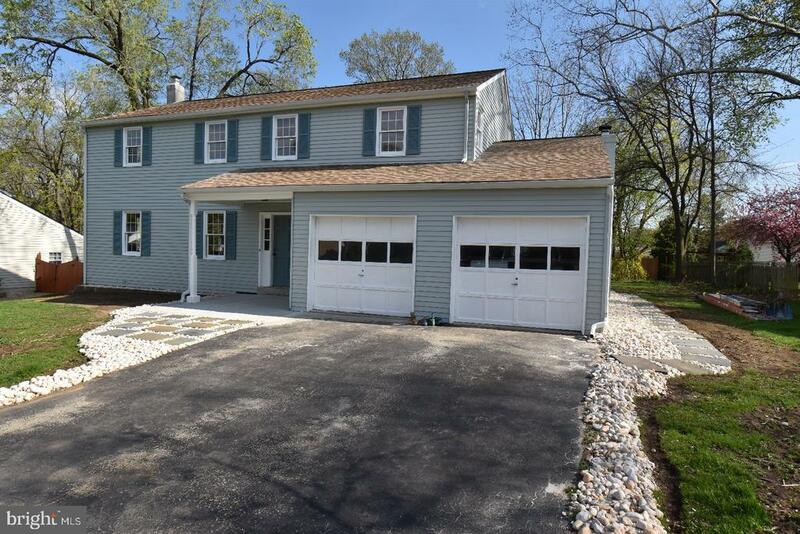 Walking distance to Upper Merion Middle School and the Septa . This home is a true gem both cosmetically and functionally." "Maison 500 is a quaint enclave of 8 Carriage Homes with uniquely designed exteriors. A true masterpiece created by ~Craft Custom Homes~. Choose from brick or stone and a variety of colors. Dramatic open floor plans featuring 9~ ceilings, hardwood floors, 2 car garages and your choice of interior finishes. Foyer entrance leads to open floor plan of Living Rm/Dining Rm and Kitchen complete with hardwood flooring. Choose from a variety of colors for Century Cabinetry, Ge Gourmet Appliances and Granite Counters. Large rear deck extends your living space to the outdoors. The upper level includes Master Bedroom featuring walk in closet, en suite including dual sink vanities with cultured marble tops, exceptional large tiled shower w/glass enclosure. Two additional bedrooms, hall bath and laundry room.Finished Lower Level with access to rear entry two car garage. Additional guest parking, low hoa fees include snow removal, lawn maintenance and trash. Walk to train, close to all major roads. Minutes to all King Of Prussia shopping, restaurants and the largest mall on the East Coast. Upper Merion has the lowest tax base in Montgomery County including no earned income tax. Check out the website at maison500.com. Please take note that taxes are an estimate. Homes are under construction and can be viewed. Pictures are from other projects. Renderings and video are of this project. Summer 2019 Delivery." "Coming Soon! Showings will commence after Open House. Open House Every Day, Call for Times! 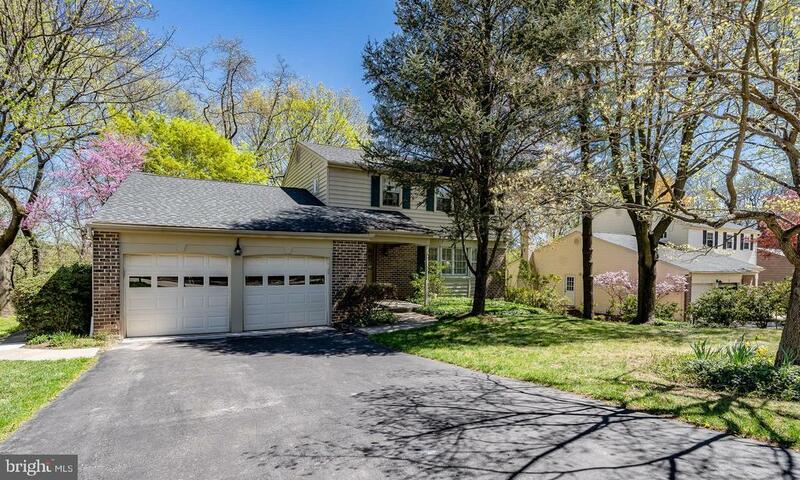 Welcome home to 283 Thomas Dr. King of Prussia, Upper Merion Schools & low taxes is this lovely 4-bedroom, 2.5 bath Colonial boasting newer roof, vinyl siding, garage doors, kitchen, windows through-out, master bath, exterior doors & HVAC that is in move-in condition. The pride of ownership shines through out. Situated in the popular Cannon Run community located in a wonderful neighborhood. Schedule your personal tour today & start packing!" "Craft Custom Homes Exude Warmth, Character & Charm With A Modern Farmhouse Flair. Each Home Is An Original Creation Not To Be Duplicated, Just Ask Our Long List Of Happy Homeowners! 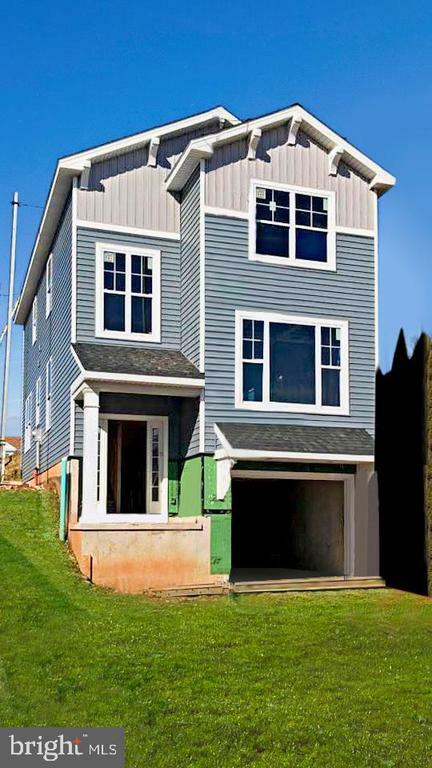 Beautiful White Vinyl Siding, Architectural Highlights, Real Stone Finish, With Contrasting Black Anderson Windows & Shutters Accented By Black Standing Seam Front Porch & Garage Roofs Will Be The Envy Of The Neighborhood. Step Inside To Find A Mixture Of William Sonoma Meets Modern Chic Amenities. Site Finished Hardwood Floors ComplimentingThe Crisp White Trim, Crown Molding, Two Panel Doors & Windows Throughout The First Floor Creating That Desired Continuity Of An Open Floor Plan. Large Great Room Showcasing Black Slate Gas Fireplace Flanked By 6ft Windows. Dining Rm Defined By Custom Chair Rail Creating A Formal Entertaining Experience. Gourmet Inspired Kitchen Boasts Century 42 Cabinetry W/Crown Molding (Only The Best) & Soft Closed Feature, Stainless Gas Stove, Microwave, & Dishwasher. Sleek Granite Counters & 8Ft Granite Top Island. Quaint Breakfast Room With 3 Large Windows To Brighten Every Morning. Powder Room Discreetly Tucked Away. Oak Staircase With Large Landing Window Leads You To The Upper Floor. 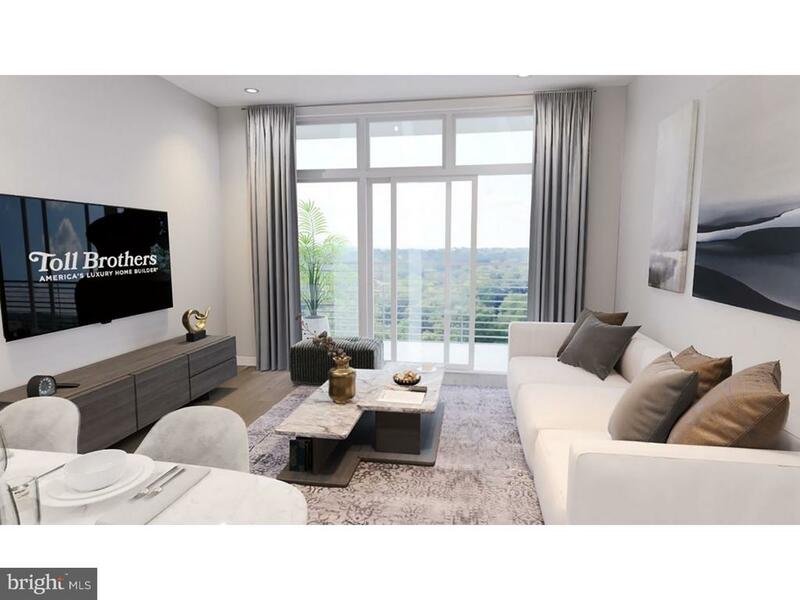 Exceptional Master Bedroom Retreat Offers Large Walk In Closet & Master Ensuite Including Double Bowl Vanity, Dramatic Tiled Walls & Floor Shower With Dual Showerheads & Glass Surround & Glass Door. All Bedrooms & Hallway Are Wall To Wall Carpeting & All Bathrooms Ceramic Tiled Flooring.Convenient 2nd Flr Laundry Room, Hall Bath With Tub & Tiled Shower Surround And Two Additional Bedrooms Complete The Second Floor. Finished Garage Level Family Room Adds Abundant Living Space. Functional Closet Or Bench W/Cubbies (you choose) At Garage Entrance. EnergyEfficient Heating/Cooling System, Appliances & Hot/Cold Water Pex System. 200 Amp Electrical Service, One Car Garage W/Electric Opener. Hurry & Choose All Of Your Finishes To Make It Even More Custom. Upgrade Options Available, Howe"
"MUDDY SHOE OPEN HOUSE 3/24/19 FROM 1-3PM. Put on your boots and come envision your new home! Maison 500 Community is a quaint enclave of 8 Craftsman Style Carriage Homes. A true masterpiece created by ~Craft Custom Homes~. Enjoy the detail and custom design of a Craft Custom Townhome at an Affordable Price. Choose from brick or stone in a variety of colors. Dramatic open floor plans featuring 9ft ceilings, hardwood floors, 2 car garages and your choice of all interior finishes. Foyer entrance highlights charming hardwood floors throughout expansive open floor plan of Living Rm/Dining Rm and Kitchen creating an effortless flow. Gas Fireplace adds warmth & charm to those chilly winter nights. Dining Room adds a formal flair to those more distinctive dinner parties. Design your Kitchen & choose from a variety of colors offered by Century Cabinetry, Gourmet Appliances & Granite Counters. Large rear deck creates an extension of living space to the outdoors. Upper level includes Master Bedroom with convenient walk in closet, master~s bath featuring exceptionally large tiled shower w/glass enclosure. Two additional bedrooms, hall bath and laundry room. Finished Lower Level leads to rear entry two car garage. (can add optional mudroom area) Additional guest parking, low hoa fee includes snow removal, lawn maintenance & trash. Walk to train, close to all major roads. Minutes to the King Of Prussia restaurants and shopping at the Largest Mall on the East Coast. Upper Merion has the lowest tax base in Montgomery County including no earned income tax. Check out the website at maison500.com. Please take note that taxes are an estimate and home is currently under construction. Pictures are from other projects. Renderings and video are of this project. Summer 2019 Delivery. Lot 7 is an Interior Unit." "Wait until you see this UNIQUELY updated home and everything it has to offer. IT IS ADORABLE! The owners have taken meticulous care of their home, and no short cuts taken for any updates, maintenance and repairs. Well established community! AMAZING space, with a screened in porch, oversized 2 car garage, double driveway along with a fenced in yard. This home will be move in ready. Recently installed NEW HVAC system, MAINTENANCE FREE Exterior, NEW WINDOWS, NEW PAINT throughout, NEW FLOORING, NEW Beautiful Landscaping, and loads more. Close proximity to shopping, all major arteries of travel, parks, recreation and entertainment." "Beautiful Willow Manor end unit featuring 4 Bedrooms, 3 Full Bathrooms and 1 half Bathroom. This home has it all, including an open floorplan, wide plank wood floors, and warm neutral colors throughout the entire main level. Gourmet Kitchen has stainless steel appliances, built in microwave, cook-top stove, granite countertops, eat-in Island, bright sliding door which opens out to the expansive deck. Dining Room sits adjacent to the spacious Living Room complete with a cozy fireplace. The second floor features a large Master Bedroom with walk-in closet, Master Bathroom with His & Hers sinks, Jacuzzi tub, and separate stall shower. Additionally, you will find 3 generously sized Bedrooms, plush carpeting, 2 Full Bathrooms, and soft d~cor. Basement is fully finished and waiting to be turned into a recreation area for the whole family to enjoy. 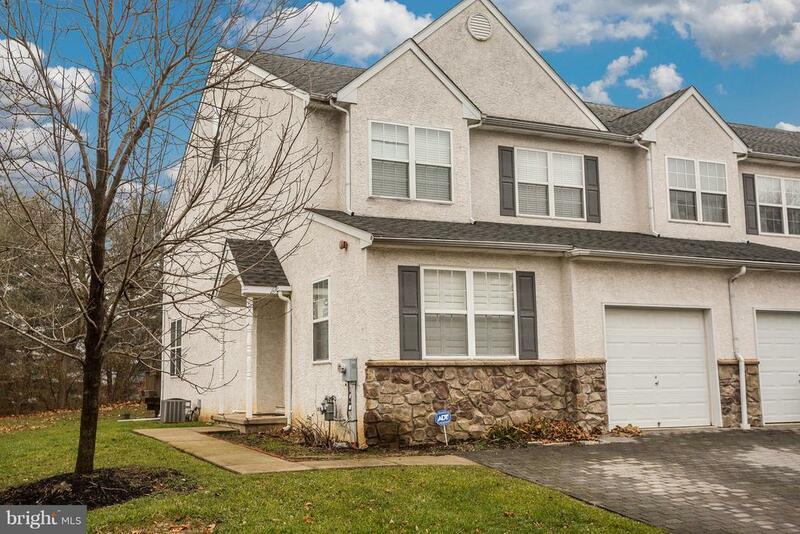 The home sits within a cul-de-sac and nestled in the heart of King of Prussia, conveniently located to all major thoroughfares, public transportation, Dining, Entertainment, and the renowned shopping of the King of Prussia Mall and Towne Center." "Wow, New Construction Home Priced Under $400k! Pre-Construction Pricing gives you more bang for your buck along with the opportunity to choose all of your custom finishes. This Craftsman Style Townhome exudes charm,character and customized finishes such as: 1 car garage, patio and deck, open floor plan hardwood floors, tile selection, carpet selection, cabinetry/granite/appliances selections and much more. Located in the quaint village of Swedeland close to newly renovated park. Home offers off street parking, 1 car garage, lower level family room with access to covered patio. Main level offers open floor plan of Living room, Dining Room and Kitchen with glass slider access to deck. Customize your kitchen with cabinet, counters and appliances selections. The upper level boasts Master Bedroom Suite including walk-in closet and bathroom with dual bowl sinks and glass enclosed shower with tile surround and floor. Good sized side and backyard. Because it is located in Upper Merion you can benefit from the very low taxes and no earned income the township offers. Commuters have Less than a mile to train. Great access to all major roads. Halfway point between King of Prussia and Conshy. Check out the standard features to review all of the offered amenities. Pictures are not of the home that is being built. Only represents the finishes and craftsmanship of builder."